One way to start this is by listing out all the events of 2016 in chronological order, such as I what I did here. Don't think too deeply about it; just write. 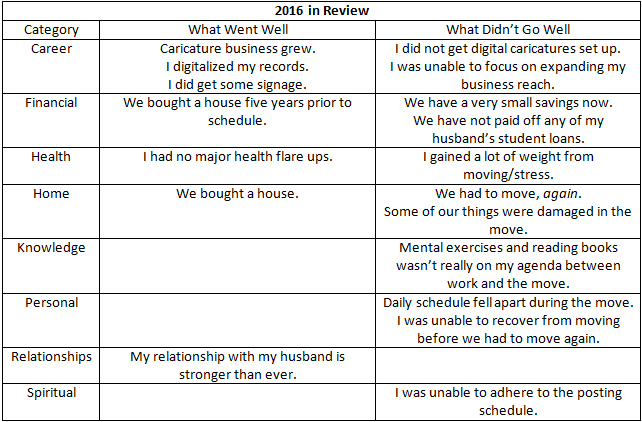 If you've been with my blog for a while, you'll notice that not everything that happened in 2016 made it into my "This is Me" post this year. Some things just weren't important and needed no focus. The same will happen for you. So don't worry if you didn't write down everything! Just get the important details, both good and bad. Now take a look at your chronological list. There's a good chance some things went very well for you and some things didn't in 2016. Take a moment to sort your chronological list into what you would consider generally "good" and "bad," what went well from things that maybe didn't go so well. Things what went well for you can become habits through goal setting, or starting points from which to grow. Things that didn't go so well can be turned around using goal-setting. Here's my chart for 2016! From here, I can already begin to see goals I want to set. As with last year, I need to continue to work on my weight, if not for cosmetics but because I have a chronic illness fueled by inflammation. My husband's student loans are still a concern and moving didn't do us any favors in finances. Clearly, I'm going to have a lot of money goals this year. But I'd also like to build on what went right, like my business as a caricature artist and buying a house. Already, this comparative list has me thinking! I created this nifty little flow chart over at Gliffy.com, but you could easily create something similar with paper and pen or in your favorite program. It doesn't have to be neat and not everything has to connect. This is just the planning stage! Instead of starting with the blank slate of 2017 and stuttering to find a focus, I've plugged in my "good" and "bad" columns from my 2016 review list into the rectangular boxes and went from there. At this stage, I just stuck with obvious things that popped into my head. I'm starting to see 2017 take shape now! 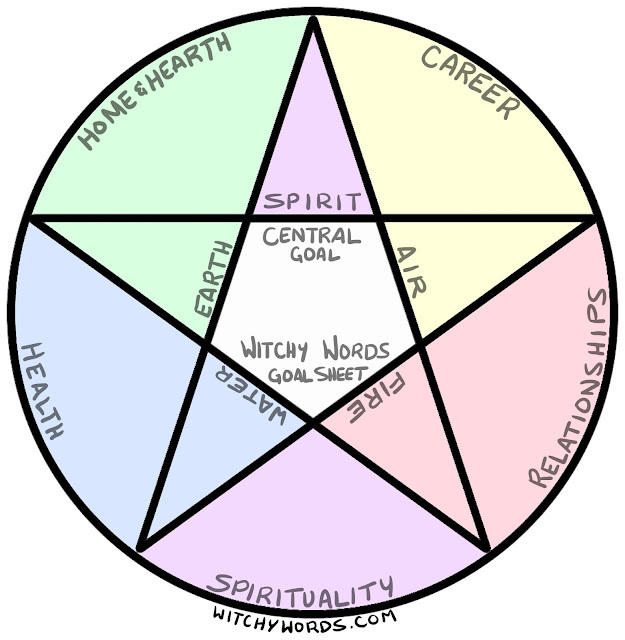 This worksheet allows the elements to correspond with five different aspects of your life. By compartmentalizing, you can begin to develop specific goals. This is perfect if you're still not quite sure where to go or if your 2016 lists didn't cover all aspects of your life. The prompts on the worksheet might get you thinking about other areas you'd like to improve or new things you'd like to do! To create this, I combined my bubble chart with my 2016 goal chart, which obviously didn't get quite finished because we moved so much. But I'm not quite ready to narrow down my goals just yet. Up until this point, you've been brainstorming general goals you might want to work on for 2017. Take a moment to clear your mind of those goals and focus solely on your happiness. Just how happy are you in each of your chosen 8 life sections? 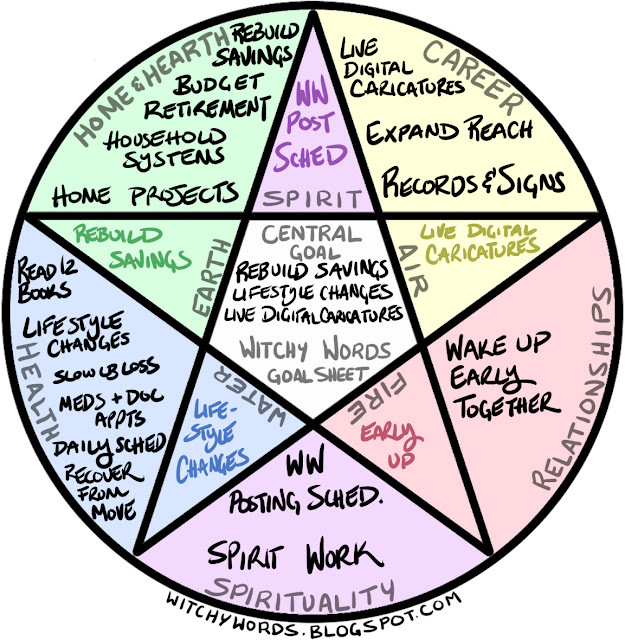 I think this is probably my favorite Wheel of Life chart I've ever done. It's the most level one, that's for sure. I'm incredibly happy with it! However, if you followed me last year in my goal setting, you may also want to get out your finalized 2016 chart. Shade in any goals you completed. 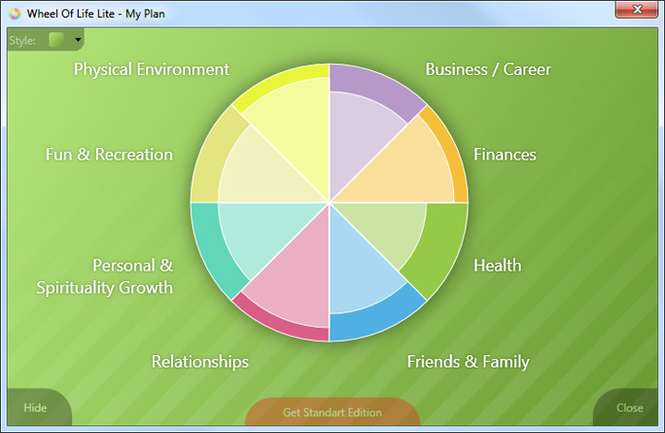 If you find you have goals that are partially completed, use a lighter color. This is where you need to be forgiving. Obviously, I set a lot of goals and have little wiggle room for derailing. My husband and I had not planned on moving at all last year. Instead, not only did we move but we bought a house. I'm impressed I was able to shade in what I did! So, if you have some gaps, give yourself the same leniency. Now clear the table and slide all the shaded areas to the left. Adjust your percentages as necessary. That's quite a difference! Obviously, level of fulfillment from the previous year does not necessarily equate to happiness in that area, especially depending on the last year's events. This may be the first year I feel even more fulfilled than my previous chart allows. I'm actually pretty proud of that, but it's time to be discerning: Do I go with level of fulfillment based on 2016 or my level of happiness? At this point, I was armed with a list of goals and a set number of how many I needed to fulfill my year. I was ready to start officially setting goals for the 2017 year! But there are so many holes in my chart and so much work to be done. How can I ensure that the goals I set are attainable? You know, I actually almost got a Desire Map planner. 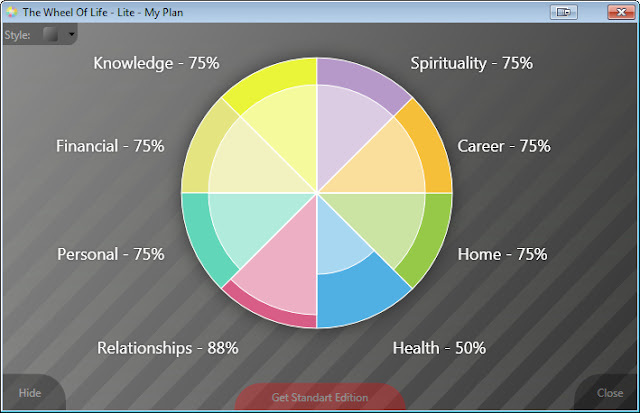 In fact, it came down to the InnerGuide and Desire Map planners when I was making my decision. In the end, I chose the InnerGuide planner because I liked the layout and how closely it aligned with my yearly goal process as it is. But I definitely appreciate the suggestion! thank you too! you definitely helped me do this in 2016 by inspiring me. to do it outside of the planner, you should look into getting the desire map book, its not a planner. it IS great at defining your goals, getting in line with the goals Feeling, instead of it being a "end product goal" its a "the feeling of how achieving the goal feels" rather, so like core desired feelings is the jist of the book. im not selling so i'm telling you how it helped me. :D anyways, so for example, i wanted to 2016 to be an empress year for me. 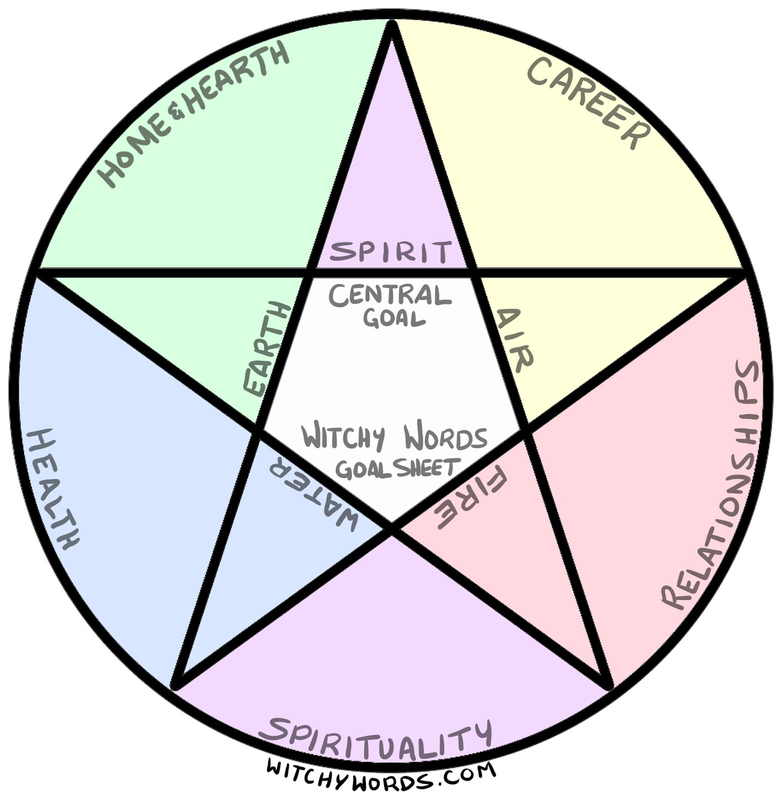 and with your pentagram, i put that in the middle and did how i would reach that feeling by doing what, in each of the element spots. i still have the old hand written version, since no printer ink all of 2016. and then i made a weekly schedule which im still working on in progress for a bigger project, but wow what fun way to look at goal setting (combining the two - your advice last year and the desire map book). side question, do you do commissions for websites? I actually have already read the book. 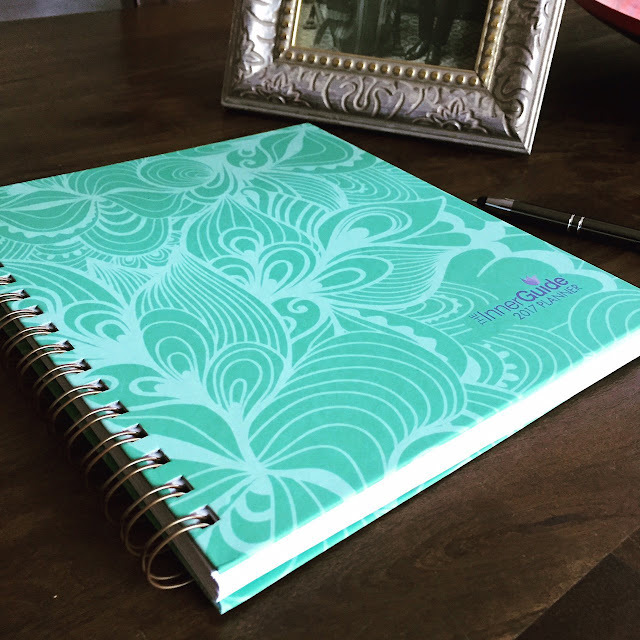 There are a set of planners based on that book that I was tempted to use; it just didn't have what I was looking for. As far as commissions go, I'm open for artwork commissions through www.mdartist.com. However, I don't create websites. I'm just not that great of a coder. Thank you! Last year I was inspired by your goals charts and now I do something similar. I have 10 categories- 2 for each element plus spirit (fire is health and fitness, earth is finances and house stuff, etc). I want my balanced wheel to be balanced in the elements as well. I'm so glad you're updating this and comparing it with last year! Very nice! Good luck with your goals this year!